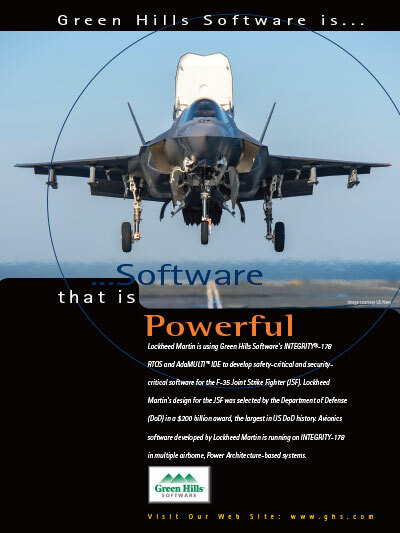 Lockheed Martin is using Green Hills Software's INTEGRITY®-178B RTOS and AdaMULTI™ IDE to develop safety-critical and security-critical software for the F-35 Joint Strike Fighter (JSF). Lockheed Martin's design for the JSF was selected by the Department of Defense (DoD) in a $200 billion award, the largest in US DoD history. Avionics software developed by Lockheed Martin is running on INTEGRITY-178B in multiple airborne, Power Architecture-based systems.